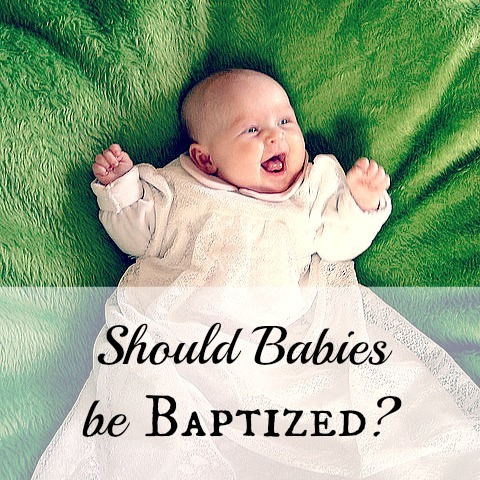 I was recently questioned as to why I believe that believer's baptism is scriptural, as opposed to infant baptism. Having done some study on the topic roughly 10 years ago, but being quite rusty, I asked the pastor of our church if he had any good resources. He did. Throughout the book, the author exclusively quotes those who support infant baptism in refuting its validity. It is interesting that many of the following arguments are affirmed by some to support infant baptism, while other staunch paedo-baptists utterly reject many of these same lines of reasoning, requiring other "better" reasons must be used. Below is a synopsis of the first half of the book. Some affirm that the Jews baptized infants of proselytes, and therefore it is natural that Christians would do the same. A review of John's ministry shows that he only baptized those who confessed their sins, thus excluding babies. Given John 4:1,2, this might be better stated, "Did Christ or the disciples baptize babies during Christ's earthly ministry?" It is important to note that Christ made and then baptized disciples. Some affirm that Christ condoned baptizing of infants based on his blessing of the little children in Matthew 19:13-15 and related texts. In the great commission (Matthew 28:18-20, Mark 16:14-18) Christ commanded baptism. The proper subjects of this command are considered in this chapter. This chapter undertakes to study nine mentions of baptism (Acts 2:38-41, Acts 8:12, Acts 8:36,38, Acts 22:16, Acts 10:44-48, Acts 16:15, Acts 16:33, Acts 18:8, Acts 19:1-7) in Scripture in apostolic times. A study of the texts that are sometimes said to infer the existence of baptism in the apostolic church are undertaken in chapter six. "In him also you were circumcised with a circumcision made without hands, by putting off the body of the flesh, by the circumcision of Christ, having been buried with him in baptism, in which you were also raised with him through faith in the powerful working of God, who raised him from the dead." As Watson points out (p.47), the reference to circumcision is to a spiritual circumcision, made without hands, and baptism is a sign of this spiritual circumcision; it is not mentioned as a replacement to physical circumcision. Watson addresses the common challenge from paedo-baptists that female communion lacks precept or precedent as well on pp. 54,55. The plain understanding of "walking in newness of life" after baptism, "putting on Christ" in baptism, "buried with him in baptism, in which you were also raised with him through faith", and baptism as "an appeal to God for a good conscience" is confounded when applied to baby baptism. Watson spends some time on each passage and comes to the conclusion that these texts teach either believer's baptism or baptismal regeneration. The answer seems clear. It has been shown that there is neither precept nor precedent (example) in the New Testament for infant baptism. 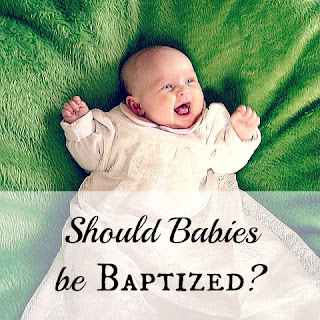 It has also been shown that the teaching of infant baptism is inconsistent with the doctrine of baptism as expounded in several New Testament texts. We will discuss the final six chapters later in the week. In the meantime, we highly recommend you buy the book (there are a number of used copies for less than $2 on Amazon). What about you? 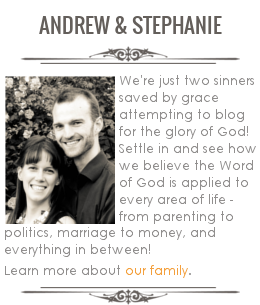 Do you have a favourite argument or book regarding infant baptism?